My design ended up looking a bit different than anticipated, and I absolutely loved the results. These crystals added just a hint of sparkle to an otherwise plain Gap chambray. They weren't too difficult to secure on to the collar corners, especially when I started to cover the crystal faces with the fabric, to avoid gripping the actual bead with the pliers. I did find that some crystals fell off when I was attaching them, so keep some glue on hand to stick them back if that happens. Aleene's glue is my favourite, and you only need a tiny drip. You can also just glue on regular crystals with no metal clamps if that's all you're able to find. 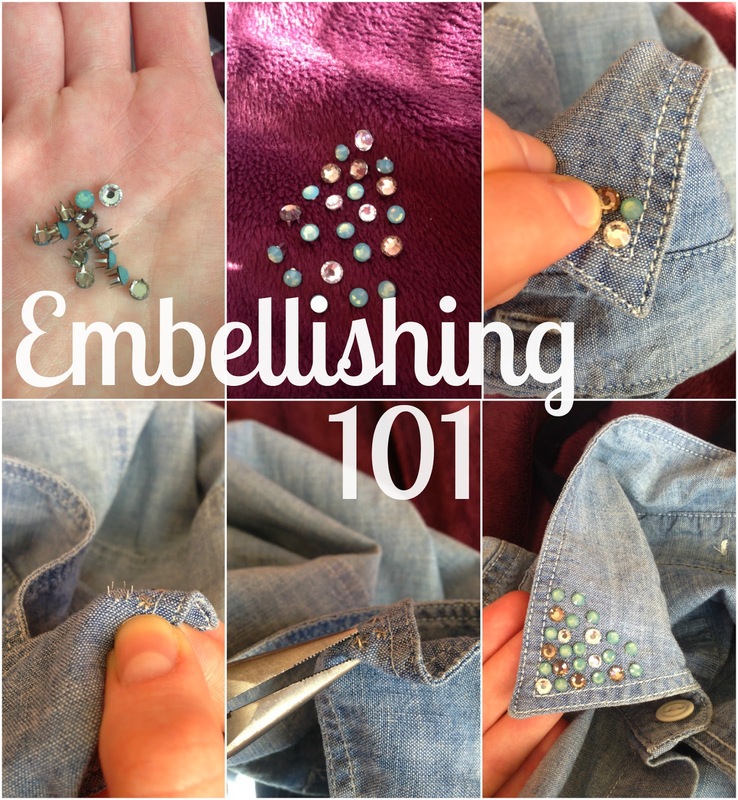 I'd highly recommend taking some time on the weekend to sparkle-ify some of your more plain clothing items. It was such a blast!